PMS Studios - yes, most people laugh at the name, but they remember it! It's actually a contraction of "Potpourri Music Studios", but somehow got shortened over time. Of course Mike says it's a contraction of something else, but you'll have to ask him about that when you see him. 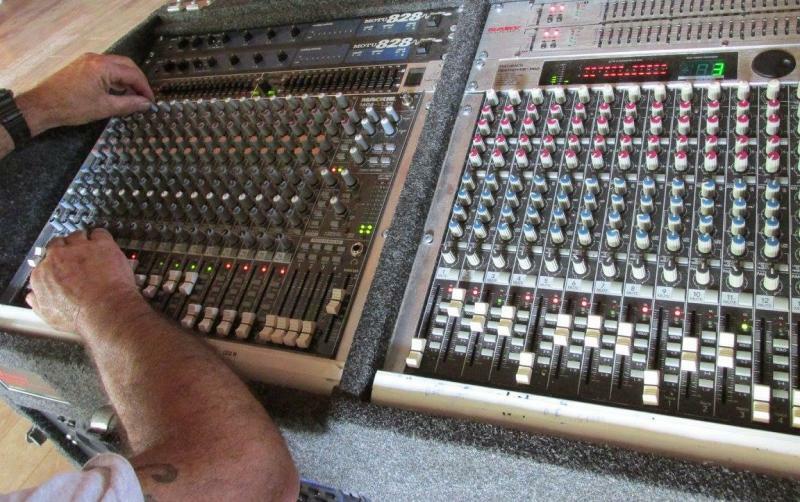 PMS Studios offers live sound engineering for shows as well as recording services. At live shows PMS provides all necessary sound equipment, cables, on-stage monitors, mics, amps if requested, etc. We do not provide instruments. PMS Studios - helping YOU sound your best! Brenda Bond - has decades of experience in the music world as a musician, songwriter and luthier. She plays over a dozen instruments and has a great ear for recording and mixing. Mike Fletcher - has an incredible ear for what makes live music and vocals sound good. He understands that certain parts of songs, such as a lead guitar solo, need to be brought up during the solo and then put back into the mix when the vocals come back in. Musicians are left free to "do their thing" and let the sound guy take care of the mix. Brenda Bond has been working on stringed instruments for decades. Old or new, she can put them back together for you and make them sound better than ever. From strings to set up to refinishing, Brenda can get it done.